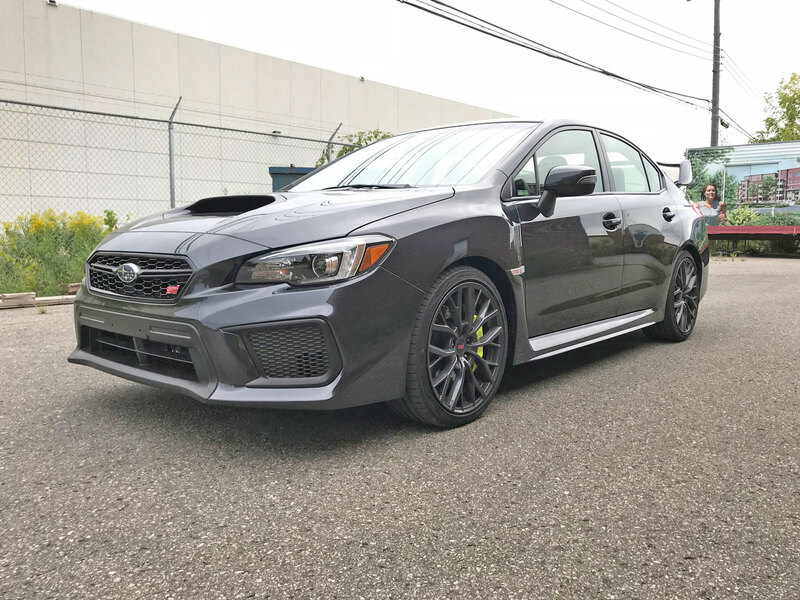 For the performance aficionado with a family there is perhaps no better option than the Subaru WRX STI. 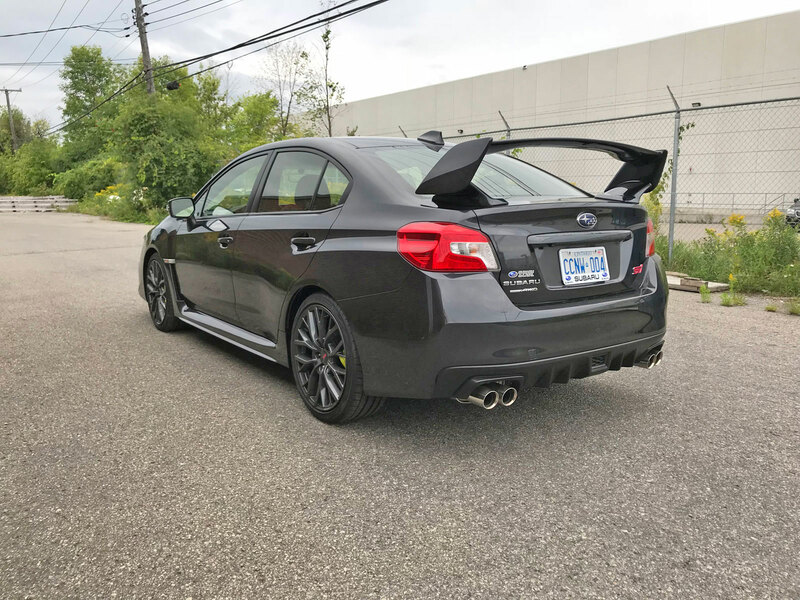 A four-door sedan packing a ton of power and practicality that can be driven year-round is indeed a mighty package – one I was all too happy to jump on when presented with the opportunity to test one for a week. 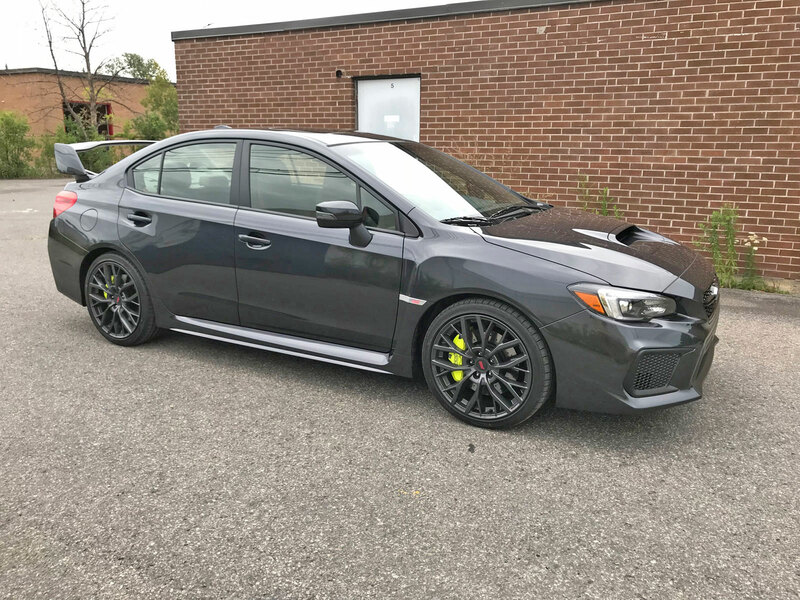 Last year, the 2018 STI received a mild facelift along with a few upgrades. 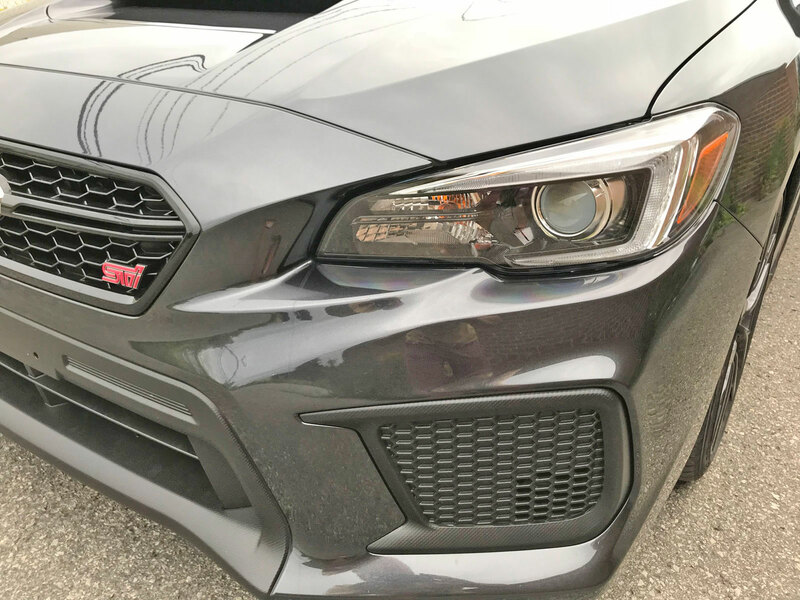 The front end was given a slightly more aggressive look thanks to a larger lower grille opening. 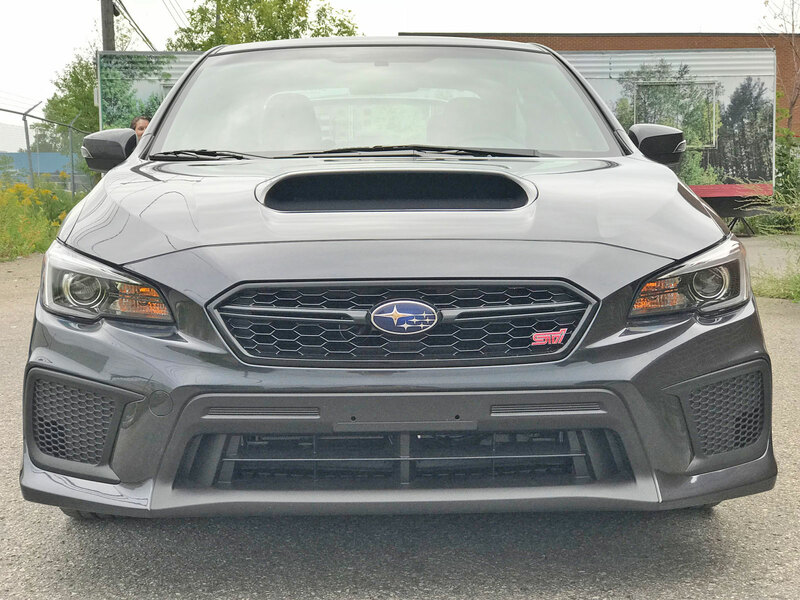 Redesigned LED headlights which are steering responsive were added as well as roof rack mounting brackets, a revised suspension, a revised all-wheel drive system, new 19-inch wheels and significantly upgraded Brembo brakes. There were several minor refinements to the interior such as rear seat armrests, upgraded materials and redesigned door grips. 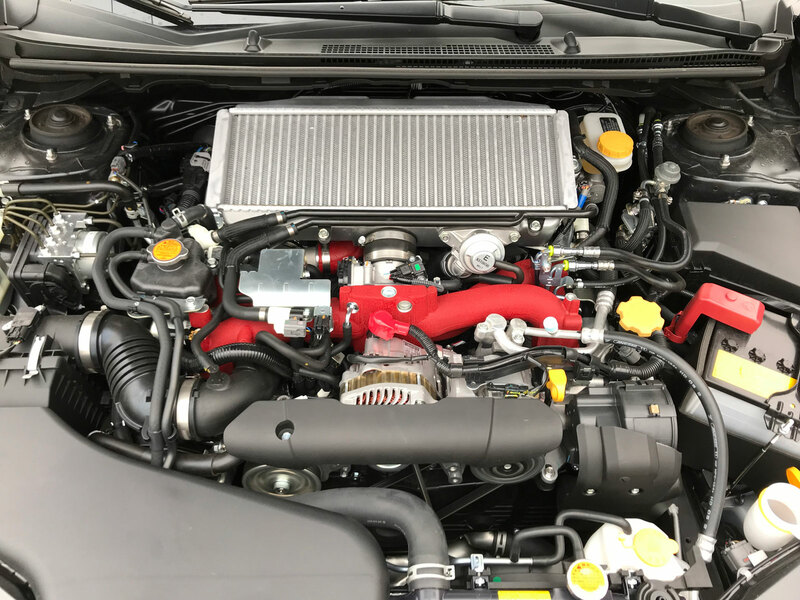 For 2019 Subaru adds a new air intake to the STI that boosts output from the BOXER engine to 310 horsepower and 290 lb-ft of torque. Apple CarPlay and Android Auto are now available and the transmission was revised for improved acceleration. So how does it all drive? 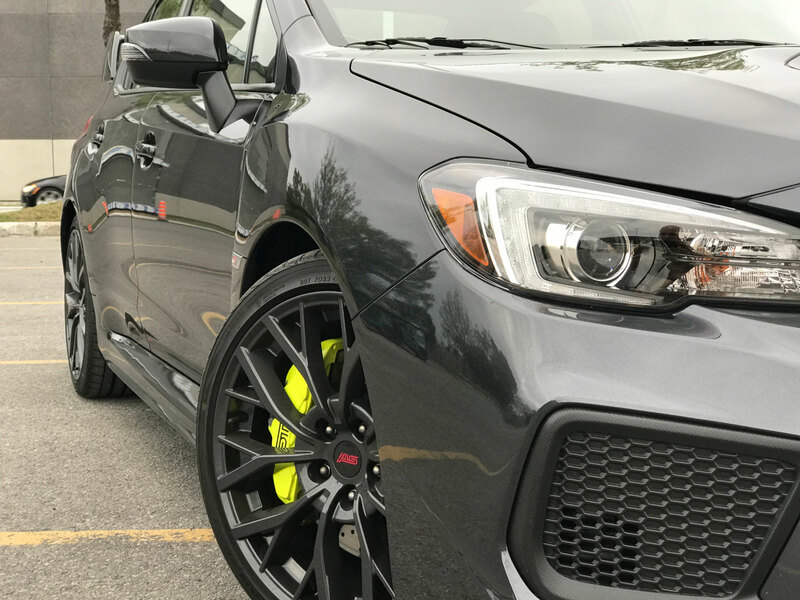 The STI is definitely one fast vehicle that can deliver blistering acceleration coupled with stellar road feel, impressive handling and extreme braking from those bright-colored Brembos. Because it’s a turbocharged motor there is something called turbo lag which means you don’t get the full power until the turbo spools up. 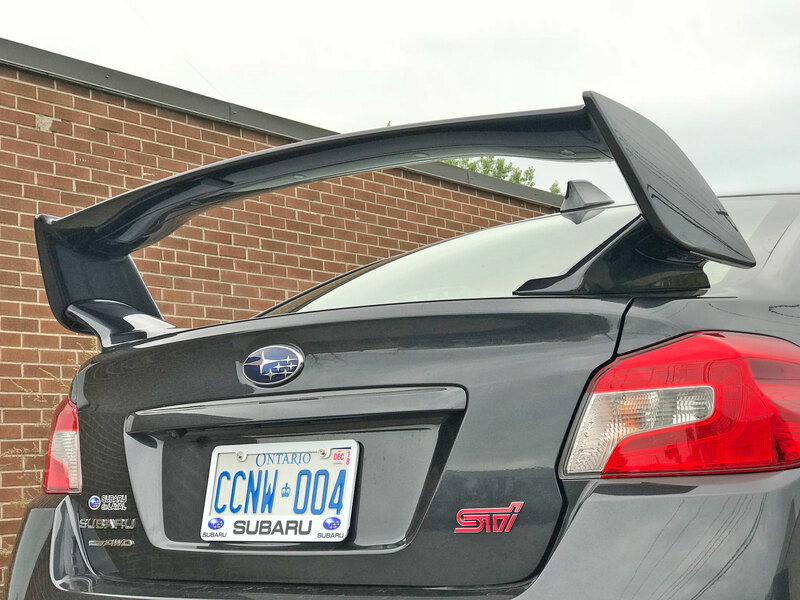 Manufacturers have managed to reduce this lag to almost nothing in late model vehicles however the STI is one of the cars with a more noticeable lag when you hit the gas pedal. 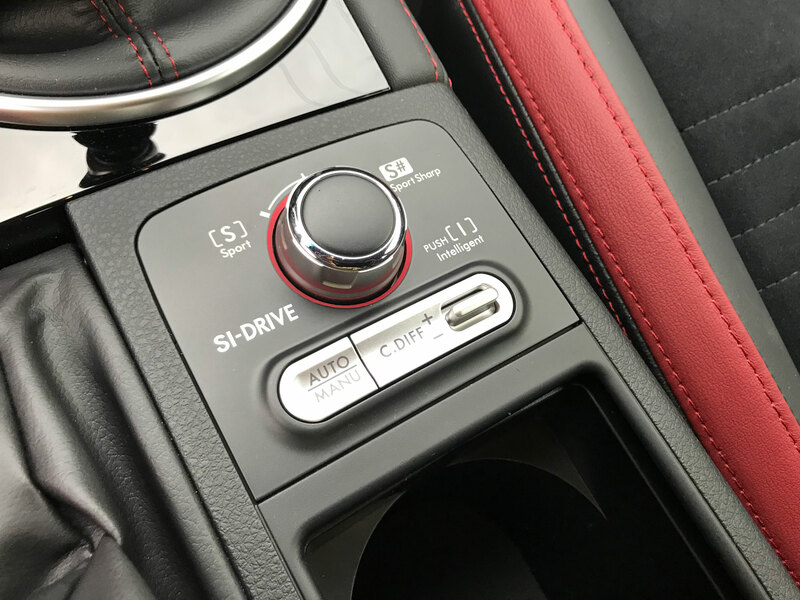 There is a feature called SI-Drive (Subaru Intelligent Drive) which the driver can use to modify how the power is delivered. It’s like a driving mode selector with Intelligent, Sport and Sport Sharp modes available. The dial is located on the center console for easy access and you can view the changes via the gauge cluster. As is self-explanatory, the Intelligent mode lets the car determine the appropriate amount of torque to apply but in Sport and Sport Sharp modes, the torque curve is modified to deliver it quicker. The driver also has the ability to specify how power is distributed via the all-wheel drive system. 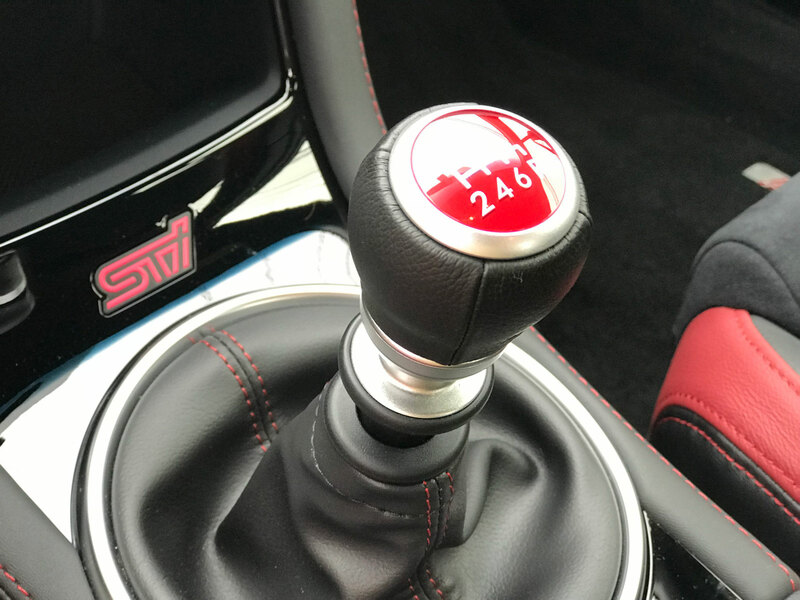 There is a small switch where you can set it to manual and choose between six different setups or automatic where the torque is split 41% to the front axle and 59% to the rear. 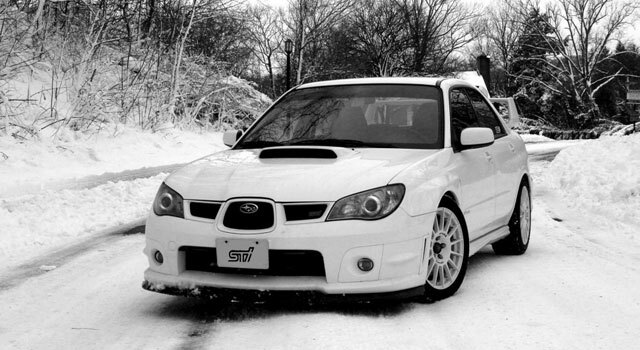 Thankfully the STI is a manual transmission-only vehicle as it should be. Keep this in mind if you plan to daily drive the thing in rush hour traffic because it can get tiring. 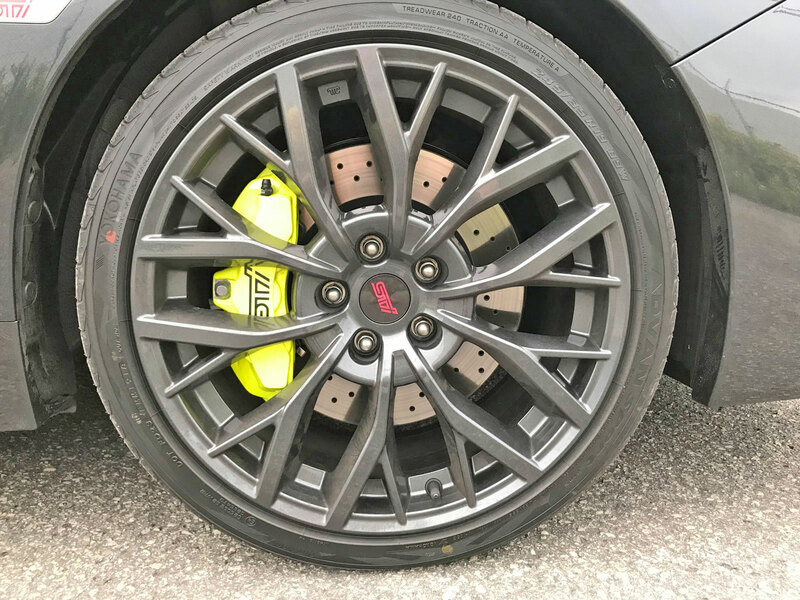 The clutch is quite stiff with a high engagement point and the shifter is also not for the faint of heart. 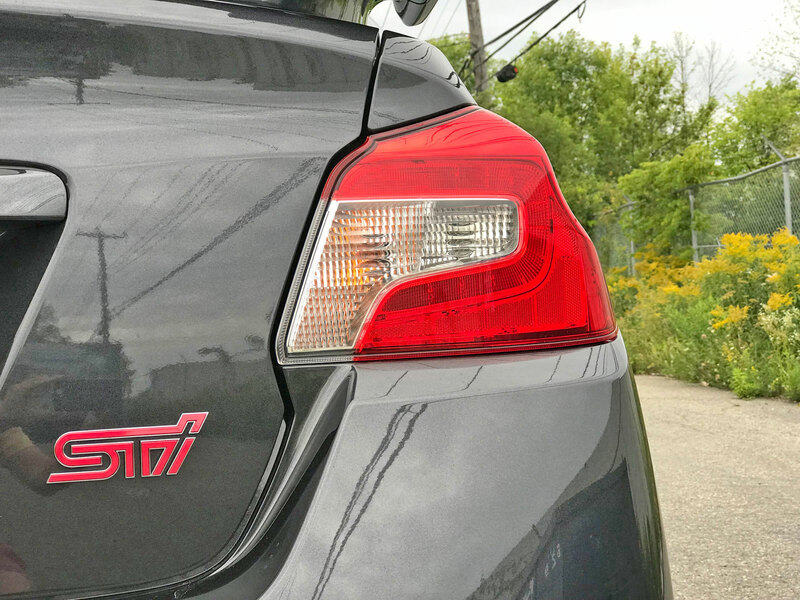 You’ll get used to it after a while and the most die-hard Subaru junkies will love it but it’s something to keep in mind. Another aspect to keep in mind is the noise level. 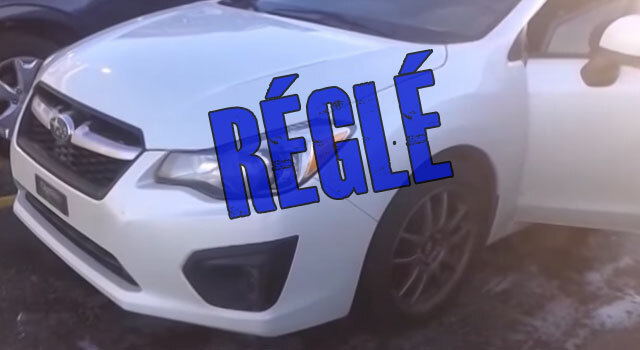 It’s fun at first but elevated cabin noise from the loud exhaust will get tiresome on long drives or for your non-die-hard family members whom you happen to be transporting. 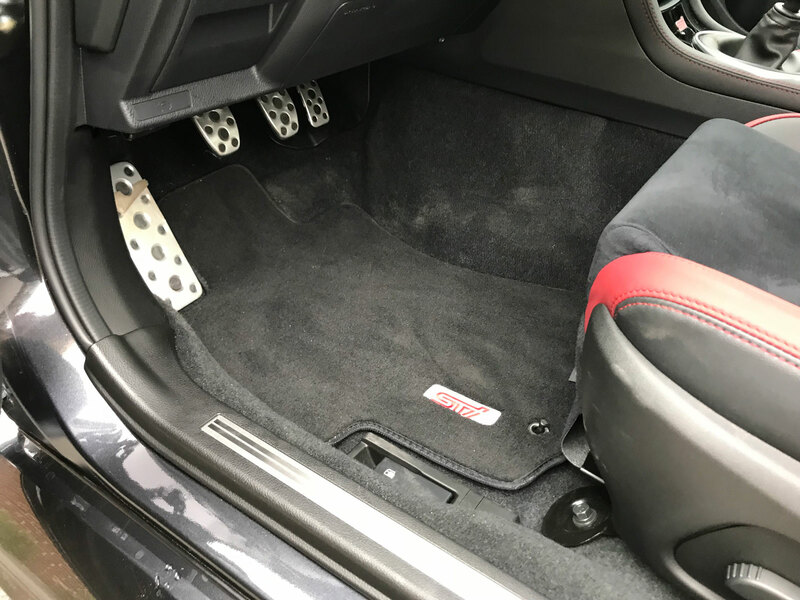 The test vehicle came with beautiful and snug Recaro racing seats in black and red. 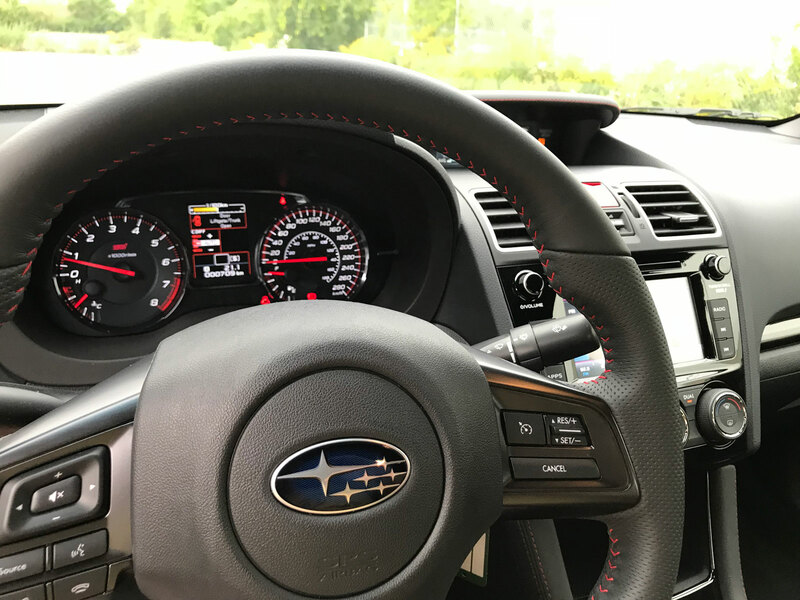 The steering wheel is similarly black leather with red stitching which makes for a nice combination. 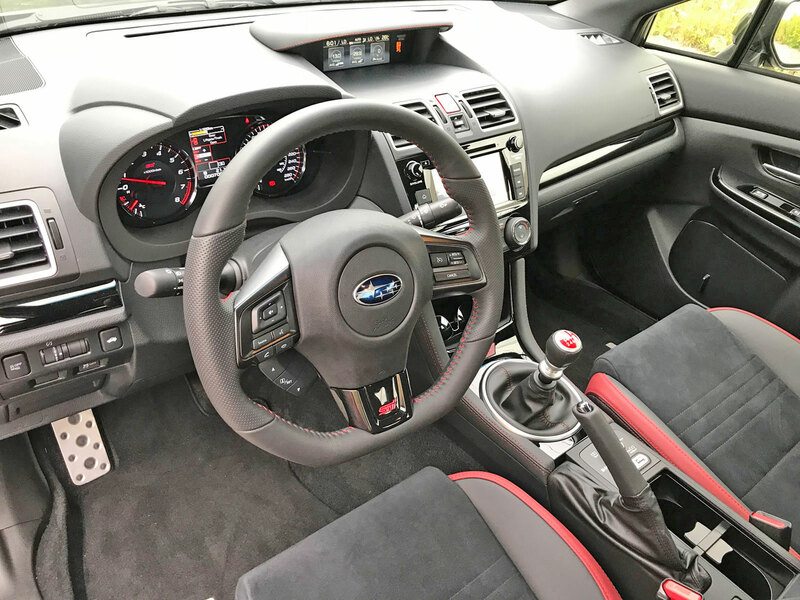 Overall one could argue that the WRX STI’s interior is a bit dated compared to the competition. It’s functional, ergonomically well laid out and comfortable but I tend to feel there is a slight excitement factor missing. 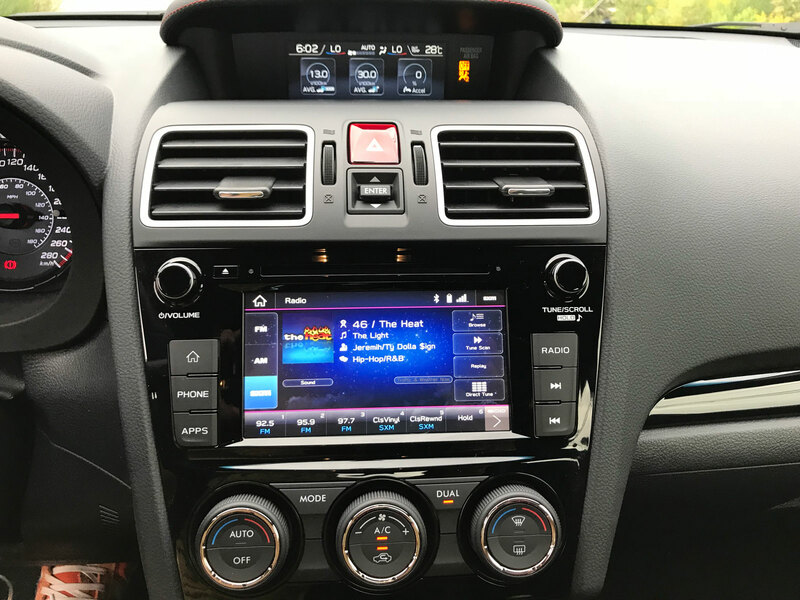 Subaru’s infotainment system is actually quite good and intuitive enough. As a traditionalist I was, naturally, happy to see dials for HVAC instead of the touch screen controls. 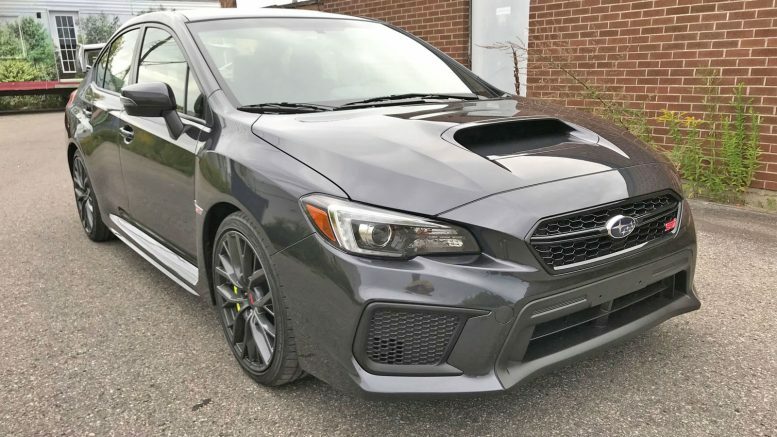 You can get a WRX STI in three versions: Base, Sport, and Sport-tech. 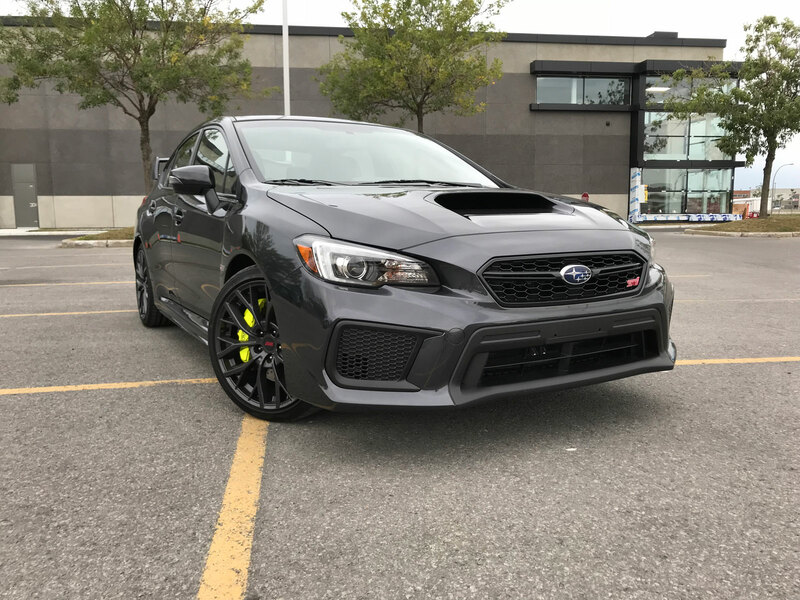 The Sport upgrades the wheels to 19”, adds the rear wing, sunroof, power driver’s seat, Subaru Rear/Side Vehicle Detection System, auto headlights and welcome lighting. The Sport-tech adds Recaro seats, push-button start, Harman Kardon Audio and the 7” infotainment system. 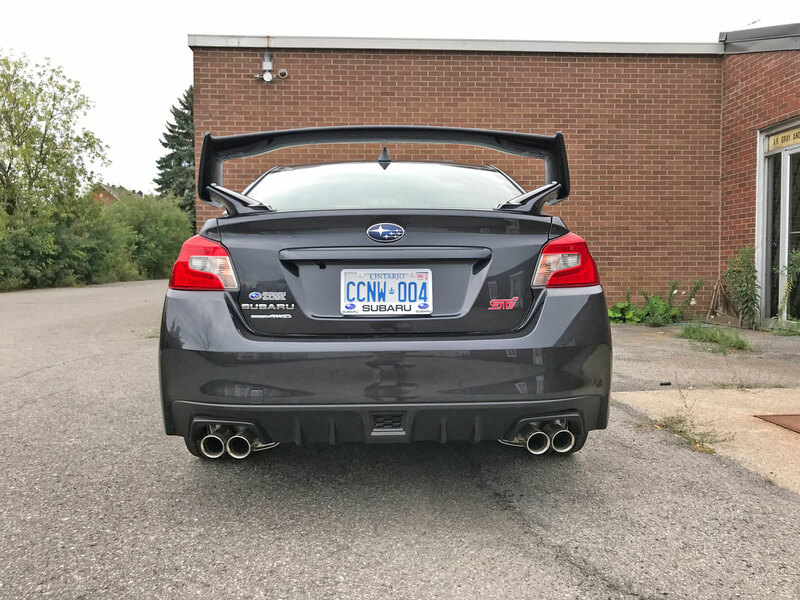 I liked the STI a lot. It’s a pure-bred sports car that is practical, good looking enough to turn heads and is an all-around blast to drive. 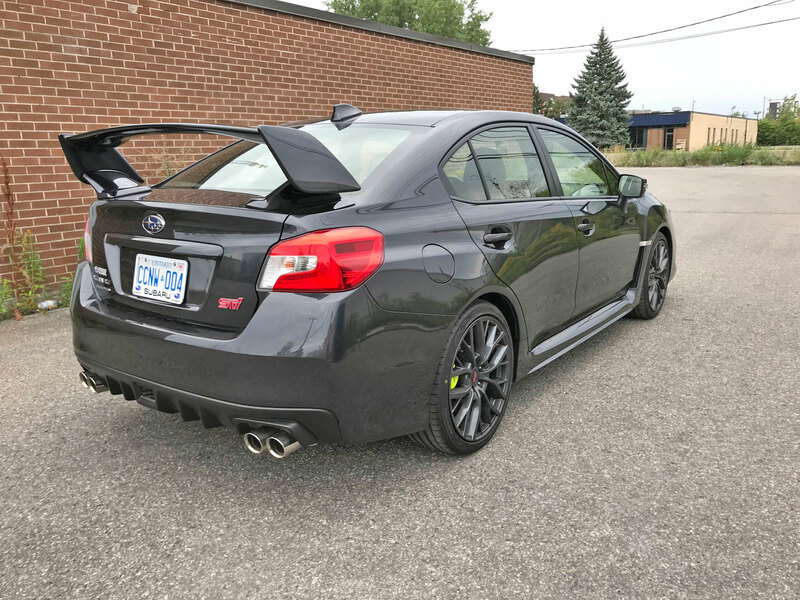 Sadly, there is no hatchback version of the STI. The base model is priced at $40,195, the Sport is $2300 more and the Sport-tech at $47,295. That’s quite a bit to pay but still not out of the realm of reason. 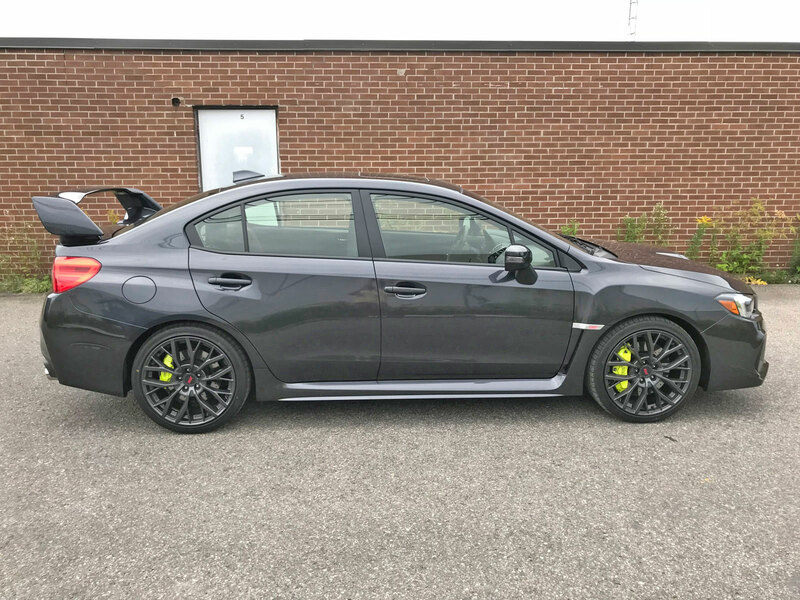 I will note that the STI is not *that* much faster than a base WRX at 268 horsepower (and starting at $31,760). It’s definitely more potent but for the price difference I’d like a little more distance between the two models. There is also tough competition from the Golf R, Civic Type R and Focus RS (though the Focus will be discontinued shortly) so it’ll need to be updated in the near future but for now it nevertheless remains an enticing buy.